But new openings continue to hugely outpace the goodbyes. Last time we checked on Seattle-area restaurant industry shakeups, the score was new openings: 27 to closures: 9. If Pioneer Square continues to look tough, the overall bull market shows no signs of slowing. The new numbers, for just the past month and a half: the following 9 shutdowns versus 46 openings — plus 5 new taprooms and wine bars, too. 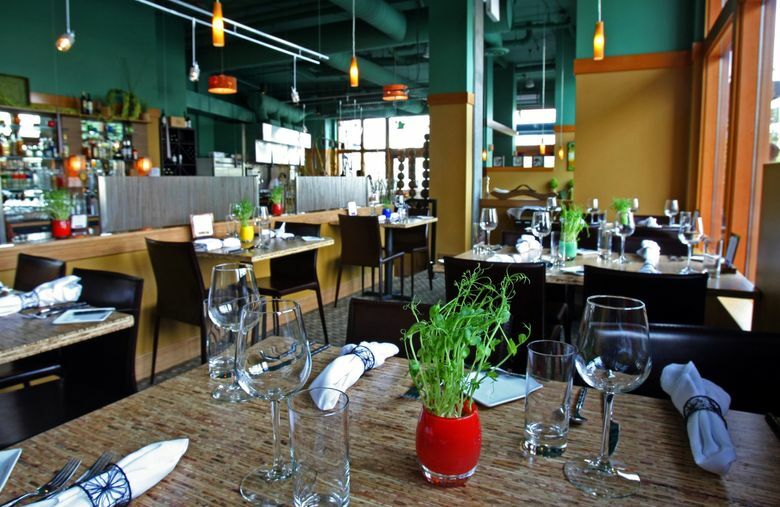 Radici in Pioneer Square: After 45 years in the restaurant business, Rudy La Valle wrote on Facebook, “it’s time to say arrivederci.” He ran Fremont’s Rialto before opening in Pioneer Square five years ago. His decision to retire was “sealed,” he says, by “a hefty rent increase” on the Radici space. Running a restaurant in the neighborhood, he notes, “was a tough go, but I can say my sales did increase every year.” He observes that in Seattle as a whole, “It’s hard for the little guy to make it unless you can pack the house day and night.” For fans of his “Rudy’s Red” sauce, he promises, “we will establish a support group” — to join, sign up for their newsletter. Farewell and congratulations to La Valle on an impressively long career in a notoriously difficult industry. E. Smith Mercantile in Pioneer Square: The shop-and-bar announced its end with “a so-long, see-you-later love letter,” closing with “There are no words nor deeds of thanks to show how truly grateful we are to all of our 5 years worth of beloved patrons, employees, vendors & partners that contributed to our story.” Owner Jessie Poole indicated to Nosh Pit blog that the seemingly unending construction on First Avenue and impending construction on the building itself were factors. Sigh. The Sovereign in Pioneer Square: Open since the fall of 2016, the pretty subterranean bar announced via a sign in the window that it is now “open by appointment only.” It has also (literally) faced the First Avenue construction, but owners did not respond to an inquiry about the reason for the shutdown or the future of the space. Sigh, again. ‘Table in the Denny Regrade: The veggie burger spot helmed by chef Mark Fuller, of West Seattle’s much-loved Ma’ono and Supreme, closed down after just five months. Partner Doug Kawasaki told Seattle Magazine that the problem was timing, with a landlord/building issue pushing back the opening, followed by slow winter sales. Fresh Bistro in West Seattle: After nine years, owner BJ Duft made the decision to close Fresh Bistro with “bittersweet sadness,” thanking his clientele for all their support. He told West Seattle Blog that multiple factors were involved, but declined to specify. Cederberg Tea House on Queen Anne: With the owners moving back to South Africa, the tea house is no more. Silver lining: Eater Seattle reports that a Japanese cafe and market called Koku has replaced it, and they’re still serving Cederberg’s rooibos lattes and red espresso drinks. Yak’s Teriyaki in Fremont: Vanishing Seattle reports on Instagram that this longtime spot closed suddenly — apparently, sadly, due to the owner’s health — and that the space has already become Palmi Korean Cuisine & Teriyaki. Ada’s Restaurant & Bar on Phinney Ridge: Both a reader and Yelp report this neighborhood spot has closed, and the phone has been disconnected. Bandits Bar in Belltown: After a decade-plus on the border between Belltown and Lower Queen Anne, Bandits Bar rides no more, with no further information available.